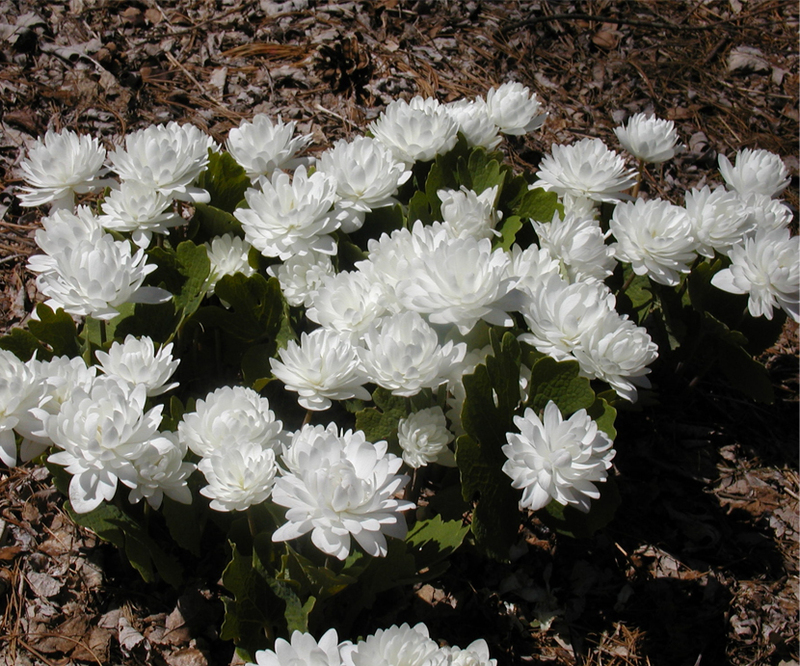 Bloodroot is a smooth, herbaceous, perennial plant, with a fibrous root, which when cut or bruised emits an orange-colored juice. From each bud of the root stalk there springs a single leaf about six inches high, and which is cordate and reniform. The flower is white, stamens short, and anthers yellow. The fruit is a two-valved capsule.